Half day(4 hours)charter :33000JPY 1-5 anglers. 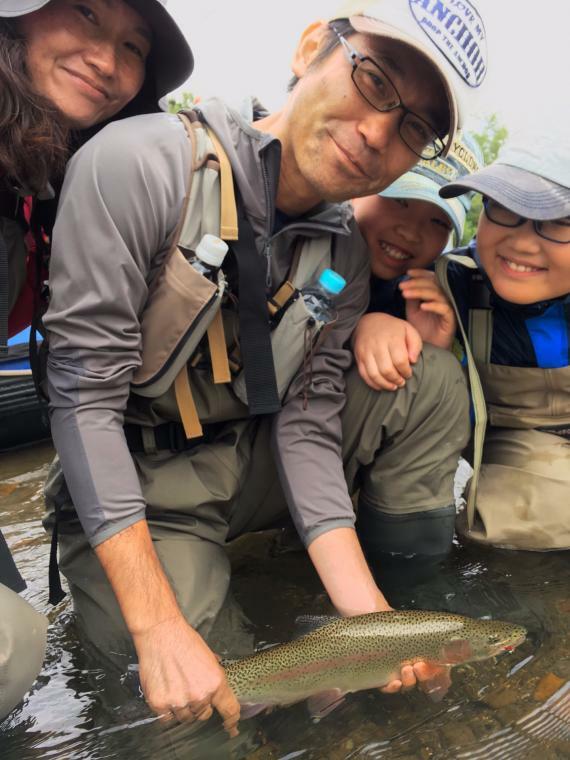 Let's enjoy the fun trips in the “Niseko Shiribetsu river “ You can experience the majestic water scenery of the Shiribetsu river together with your family.... It is such a peaceful atmosphere tour. ■May: Beginning of fishing season. More chances to catch good Rainbow. According to snow melting, the water sometimes runs very high. In that case, our guide choice any low water cource. ■June to July: Good for fishing weeks. Any kinds of trout like white spotted char, rainbow, brown, Taimen, and cherry trout can be seen in the Shiribetsu river. You will have a chance to catch any of them. ■August and September: Water temperature reaches to the highest in the year. Choosing a morning trip 6:00Am would be recommended. *You may happen to hit “Summer run Steelhead” coming up from the lower stream. Last year, Steelhead as big as salmon fought some anglers while trip, but their lines were broken or hook out before landing unfortunately. So We prepare rods for Salmon & Steelhead fishing which is used for Monster this year. If you missed them and were disappointed last year, You should try it again! *Tips- July to Sept. White spotted char comes back from the ocean and luckily you might have chances to catch them. Even the temperature is high, it’s easy to catch. ■End of September to End of October: Wonderful season, Rainbow and brown trout become active again. They chase small baitfish for storing their energy for coming winter. What is different from summer is you will have more chances to catch them even during the day. It’s good for children and if you are a not morning person, it is suitable. There is a Restroom at the first meeting place. The after then, guests will move to the goal point by own car drive, change their clothes, and park guests car. From there, Guest will move to our starting point by guides vehicle and learn about a 10-minute downriver , and we will start the tour. It takes about 2 hours to reach the goal point. After the goal, a barbecue (optional) starts on the spot after changing clothes and toilets. Therefore goal point, Parking and Barbecue are same spot. If you want to cook the your catch, please ask the barbecue staff. 2 boat, 2 Guide available. Appropriate outdoor outfit Rain jackets must all seasons. Caps and Eyewear also. Hokkaido in May and Oct is getting cold. Please prepare your own insulation wear for keeping warm.Temperature is 5 to 20 degree celsius. Extra clothes for change when you get wet is a must. Backpack is very useful to keep your valuables, drinks/snacks, clothes. 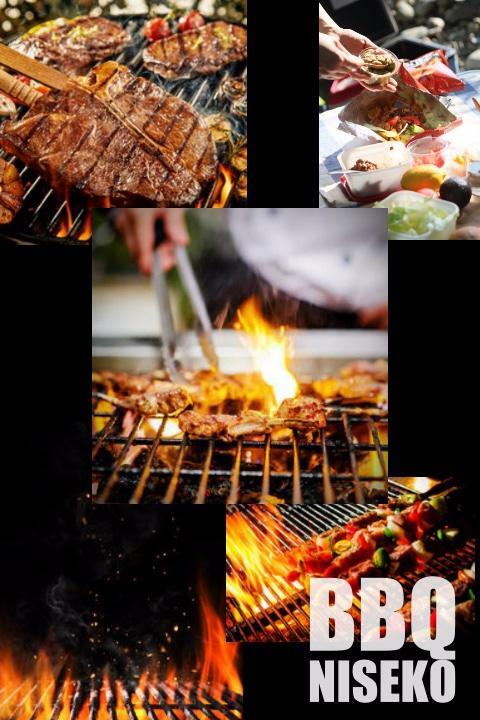 ■BBQ fee 4~15 person (Charcoal Grills, Tongs, Chairs, Table, Table wears, Attendant stuff ) You can choice USA beef chuck eye role steaks, Japanese premium fat beef “Wa-gi-u” etc. Parking at along the Prefectural Route No, 5 with Shiribetsu river. Only credit cards are acceptable for your payment. Full total cost for each trip is required to book your trip. Your reservation is confirmed when we acknowledge the receipt of your payment. *Making a reservation can NOT be acceptable on the day. *No cash, bank transfer, travelers’ checks, and virtual currency are acceptable. *No individual invoice are issued even participating as a group of several people. *Please use your credit card statement as a receipt if needed. *Terms and Conditions are explained in this page. Paypal payment which is used on millions of sites and by 200 million people all over the world, is a safe option to securely pay for your trip. (IR info as of 2017) Your payment will be securely processed using PayPal’s servers directly. We do not store any of your payment information. We ask our customers to use Paypal payment. *If you need a receipt, please use your credit card statement. *You can pay with credit card even if you do not have a paypal account. Please use the credit card according to the guidance attached to the invoice. We take major credit cards for consumed items at fishing site. 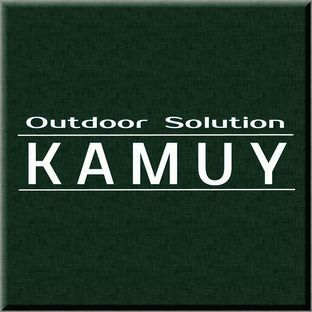 We are KAMUY, Fishing guided service. 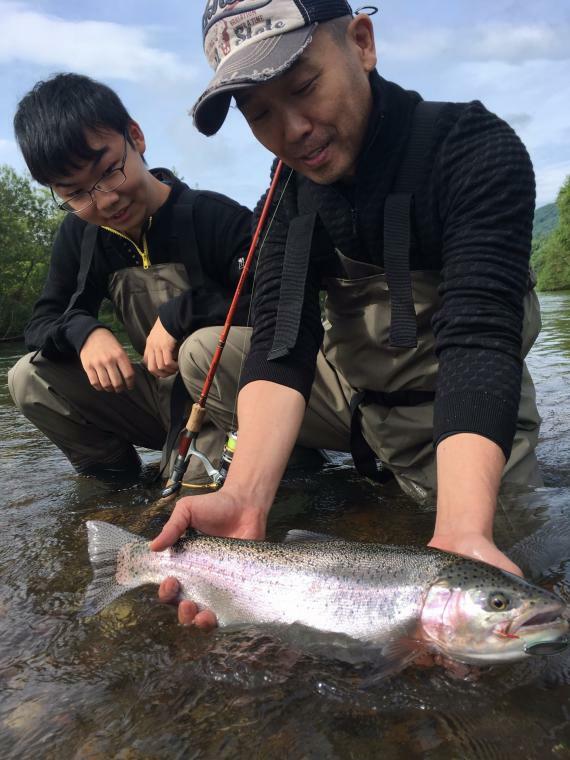 We specialize in guiding of River trips and fishing instruction in Hokkaido. This program is perfective for Recreational anglers and beginners. ※You must strictry be wear glasses and cap when you fishing for safety. ※You will not be confirmed on the tour until you have signed the agreement form in full voluntary participation. ※Under 18 years old, guardian’s signature is necessary. ※Participating in tour under influence of alcohol is strictly prohibited. ※Participants shall follow any instructions that are given by a guide or instructor at the site. ※Please feel free to ask us about person with disabilities. ※Participants have full responsibility for any vehicle theft or accident, and troubles. ※Participants shall keep all their valuables by themselves. ※Please feel free to bring any drinks (except for alcohol). ※Decision making due to weather is done by guide, we will notify you by the early evening the day before the tour for confirmation by phone. Mainly in case flood, high wind, or swollenness can be foreseen, we may that propose call off or change a tour course. ※Even in the morning of the trip, if bad weather is foreseen, please note that we may cancel it. ※Participants have full responsible for all their personal effects to undertake their trip. We shall not be responsible for any loss or damages. Cancellation by the customers for any reasons, its fee will be collected as below:30 days prior to trip 100% refund, 14 -30 days 50% refund. 7 -14days 25% refund, 1-7 days no refund. *Cancellation by unforeseen incident such as the following is only refundable. Cancellation by the guide after depart of a trip, in case that our guides judge it cannot be conducted including a substitute plan due to bad weather, the trip may be cancelled for a half day. In case of cancellation by them, basic guide fee will be refund by half day. *Guide is the only person who determines if the trip is cancelled. *Cancellation by customers if they desire to cancel/stop the trip will not be refundable. 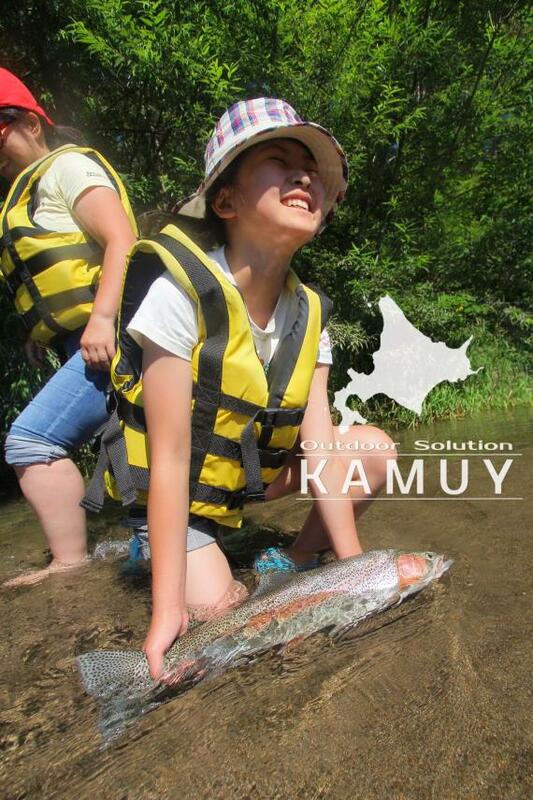 KAMUY fishing guide service specializes in fishing guide for river float trip. For the safety of your trips, the captain possesses a license for the swift waters river descent trips, Our guide has hard training and more than 20 years of experience.